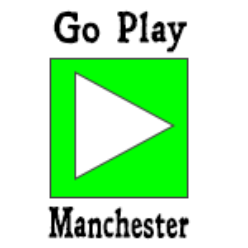 Fancy running a game at Go Play Manchester? The first thing to be aware of is that GPM is a curated event, where games are submitted to the event organiser, Newt Newport, in advance. It’s done this way so that we can get the selection of games offered up on the website prior to online sign-up before the day of the event. We usually ask that you come as a player first, to see how the event works. Even if you consider yourself a seasoned convention GM this is the case. If you are new to the art of running one-shot games for a group of friendly strangers but have years of experience running for your home group, playing in a game run by one of our experienced GMs is the quickest way of getting up to speed with how this style of play works. We consider all types of role-playing games, not just Dungeons and Dragons, from traditional games that have their roots back in the 70s/80s to the bleeding edge storytelling games coming out of small indie creators. The process of submitting a game starts with sending me its details using the following form. I will then review it, and if appropriate add it to the schedule of games for the event. If this sounds ominous, all most all games will get accepted as is, and a couple I may ask for slight modifications. It will be very, very rare for a game to be rejected. What may happen is that we have too many games, in which case make sure any surplus games are held in reserve in case we have an on the day drop out, and if still not used at the meet up it was originally submitted for, I will ensure it gets to run at the next month’s. Once your game has been submitted, work on and get prepared. Make sure you have at least four pre-generated characters, with perhaps one extra for last minute players (and if a GM has a number of no-shows on the day that they have to play instead) or in the event of character death. One-Shot Prep: Structuring my Notes. If you have any questions, do not hesitate to ask, either on the day or by contacting organiser via the Contact page.